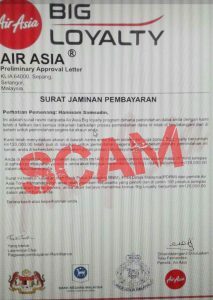 AirAsia has issued a warning about an online scam circulating via email with the subject: AirAsia Big Loyalty Bonus. If you receive such an email, do not engage with the sender. 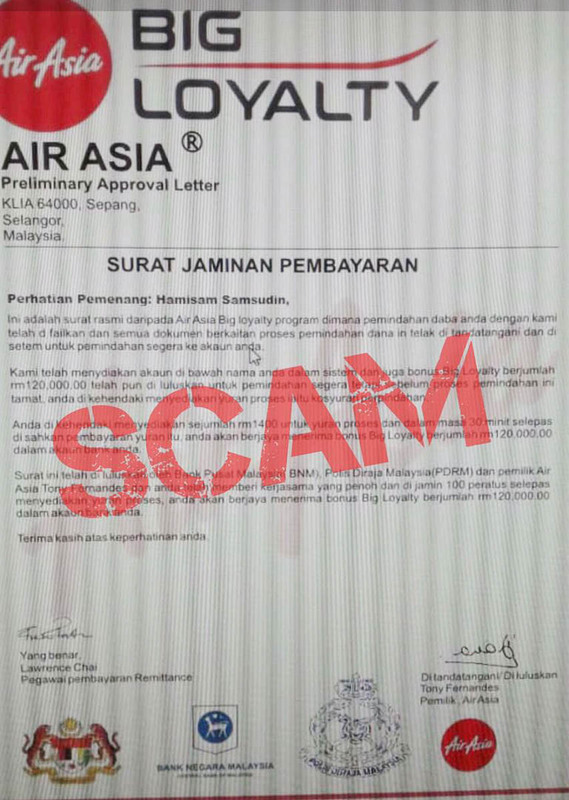 This AirAsia Scam Alert has been released on 16th April 2019. 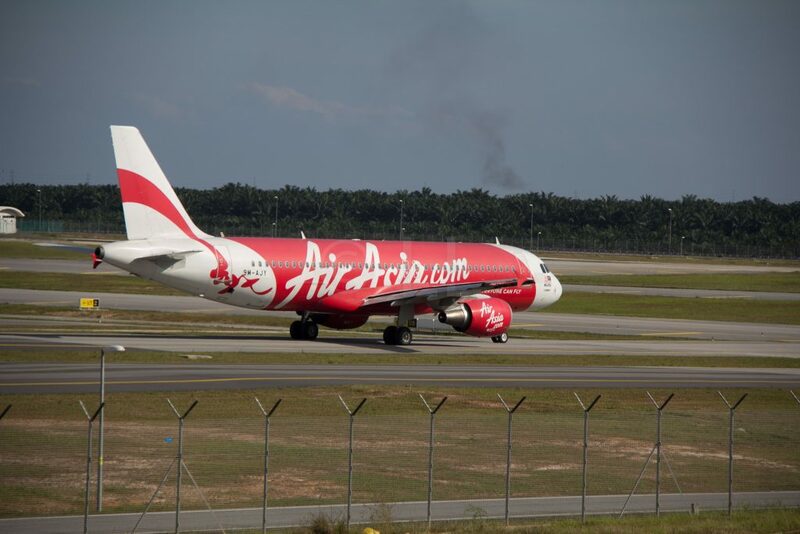 Always refer to AirAsia’s official website and social media channels for the latest company news, activities or promotions. 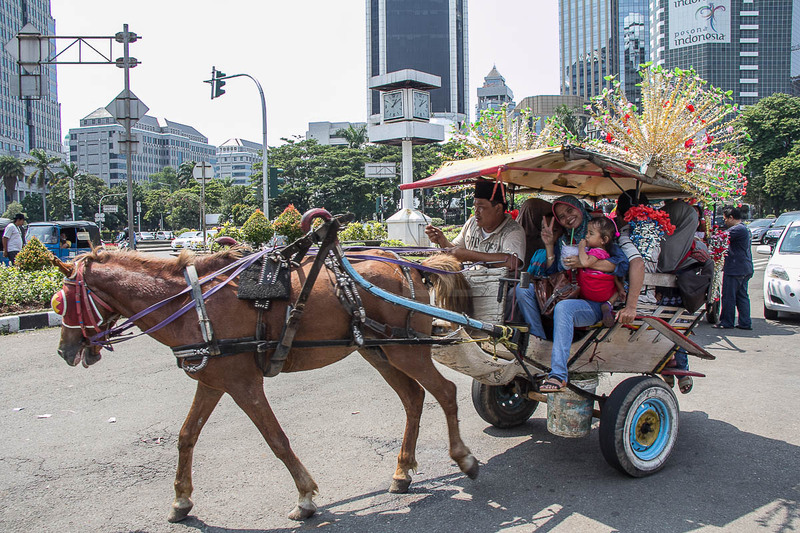 AirAsia advises that they will take legal action against individuals or groups who organise illegal schemes using the AirAsia brand or those of any of its subsidiaries. The airline shall not be held liable for any claims arising from false schemes.